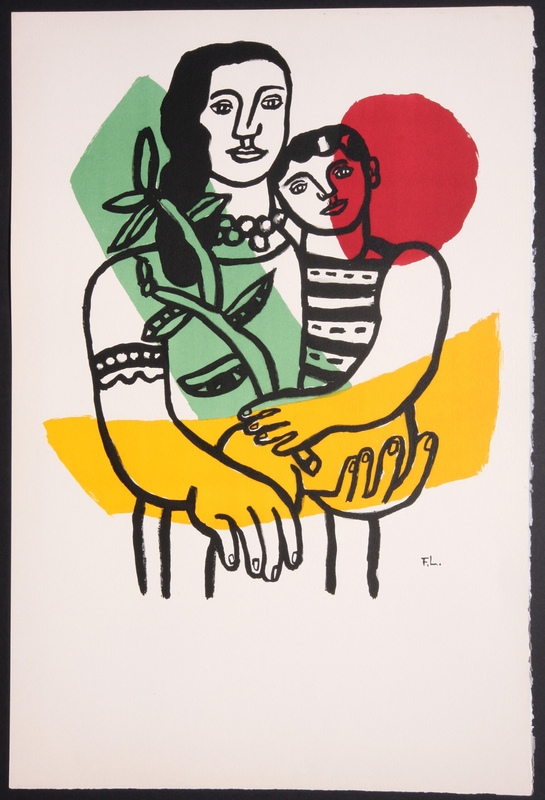 Original Fernand Leger Lithograph in colors on Arches paper with full margins. A proof aside from the edition with text, printed for the Fernand Leger exhibition at Galerie Marcel C. Coard, Paris. Printed by Mourlot, Paris.